As the full Formentera Council gathered on Friday for the administration's November assembly, one of the session's standout features was a stamp of initial approval for the Council's 2019 budget. The almost €30.2 million budget passed with “yes” votes from Gent per Formentera and despite PSOE abstention and “no”s from PP and Compromís party members. 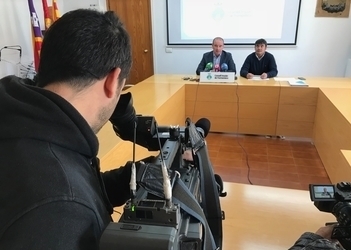 Tax office councillor Bartomeu Escandell called the figures for 2019 “balanced and realistic”. “This budget is built around improvement initiatives for our island and towns. The current focus of infrastructure investment is on transformational change in Sant Ferran, but la Savina and es Pujols are at the fore too”. The councillor highlighted construction already under way on Formentera's senior-living residence as well as the soon-to-be completed funeral parlour—which, as Escandell offered, “together with the dependent care facility and hospital, means our endowment of health and human services now promises something we've talked about on Formentera for years: the freedom to be born and die here on the island, and to live out one's years with dignity. The session also brought resolution for a suit with the local delegation of the central government involving approval of the Council's offering of public employment, set to enter in force next year. The motion passed by unanimous consent. Another object of cross-party support was the devolution of control over gender and LGTBI policy. 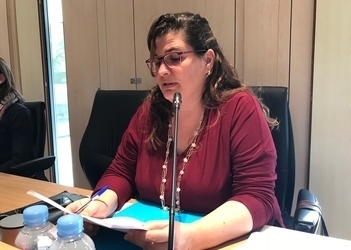 The same goes, despite PP abstention, for a set of proposed representations from UTE GIREF, which operates Eivissa's Ca Na Putxa, concerning a deal on investment at the waste and organic matter processing plant. The close of the assembly came with the reading of the administration's manifesto on violence against women, and an intervention from Sònia Cardona, whose words for the assembly touched on initiatives developed from within the department of citizen participation under her direction in 2018, as well as transparency and good governance. At 11.00am this Wednesday Formentera Council chairman Jaume Ferrer was joined in the Sala d'Actes by Bartomeu Escandell, his administration's deputy chair and tax office secretary, for a first-look at the Formentera Council's projected 2019 budget. The total forecast, which tops €30.1 million, is up 12.25% from last year. That change was possible thanks to an 33% uptick in regional funding (including €9.1 million unlocked by legislation aimed at boosting money for the distinct islands of the archipelago) and the hand-off of powers to promote tourism. Compensation for Formentera's participation in national devolved regional taxes, nearly €4.5 million, is also up 7.8%. Secretary Escandell said the proposed budget “is about consolidating, both staff and operations, and finding a way to deliver all the services we're committed to on Formentera”. He described the vast majority of spending as “designed to make Formentera more liveable” citing “urban upgrades, heritage recovery and sustainability measures for the environment and mobility”. 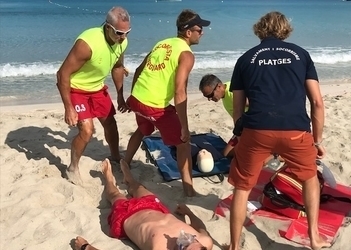 According to the tax office chief, most of the investment in the 2019 budget relies on the Council's own cash reserves—proof, he said, “that Formentera is well-equipped to steer such policy”. “This year Formentera will return its debt level to zero”, he confided, “a clear sign the Council is financially fit and can get on just fine without outside financial support”. The budget projects €10.8 million for employee pay. In the coming year, new facilities like la Savina's nautical sports centre, the cultural venue at la Mola's lighthouse, a funeral home, an elderly care home, a programme to regulate mooring at Estany des Peix and the planned tourism observatory included in the power hand-off on tourism promotion. Current spending, moreover, has stabilised at approximately €11 million, with contracts for waste collection and cleaning accounting for the lion's share. Real investment is also up—from €4.5 million last year to an expected €6.2 million in 2019. Gains from direct levies—forecasted to approach €6.4 million—echo the figures seen last year and in 2017, marking an overall stabilisation of tax earnings. Current transfers are projected to climb as well, going from €12.4 million in 2018 to €14.3 million in 2019. In 2018 the Formentera Council's total direct investment on the island will total €6.2 million. Privileged areas of investment include continued upgrades to urban areas and tourism infrastructure, with projects in Sant Ferran like improvements on avinguda Joan Castelló i Guasch in Sant Ferran (€1.8 million), a children's park (€210,000) and a fitness circuit (€100,000) as well as a designated green space to the east of Sant Francesc and a skate park (€170,000). Path-breaking solutions in sustainable mobility and green retrofitting are both set to get priority as well. Such measures include regulation schemes for moorage at Estany des Peix (€650,000) and inbound automobiles (€350,000) as well as a bid from within the CiF office of patrimony to build a museum into la Mola's lighthouse (€140,000). Other initiatives like funding for operations and participation at the Consell d'Entitats (€325,000) and incorporating investment in the group's selected projects (€635,000) reflect the Council's ongoing commitment to promoting citizen participation. Lastly, a nearly €2 million residence for the aged and €200,000 for construction related to the island's anticipated funeral parlour mean investment in infrastructure and basic services hitherto unavailable on Formentera. The Formentera Council is working to cement its role as service provider and advocate for decent employment. This year the administration will restore the 35-hour work week for the 330 islanders it employs (27.5% more than at the start of the legislative term). 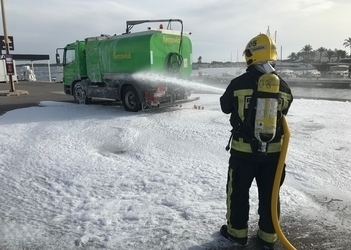 Formentera firefighters have responded to several incidents caused by strong winds on the island this Monday morning. 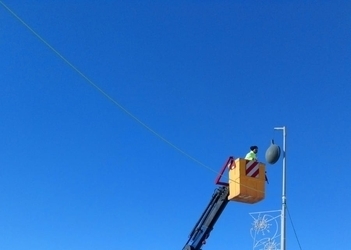 At 11.00am the crew snapped into action in Sant Ferran to keep telephone pole on the side of avinguda Joan Castelló Guasch from toppling over. They also stepped in to take down shutters in danger of falling from a first-storey flat and another lamp dangling precariously from a post. Lastly, crew members cut and removed a small tree that winds had left in the middle of the road.